Sometimes life can get so busy. We’re always running around doing something, going somewhere, seeing somebody. Sometimes we just need to get away from it all and treat ourselves to a new adventure. Our staff at Laing are no different. We all love to travel and have our favourite parts of the world to visit for our own reasons. For this series, we’ll be talking to everyone at Laing Real Estate Sydney, and finding out where their favourite places to get away from it all are. “My favourite place to travel to is where my parents originated from – Reggio Calabria. I still have a lot of family there who I enjoy visiting. Within Calabria, my favourite place to visit is Tropea also known as “The Coast of the Gods”. 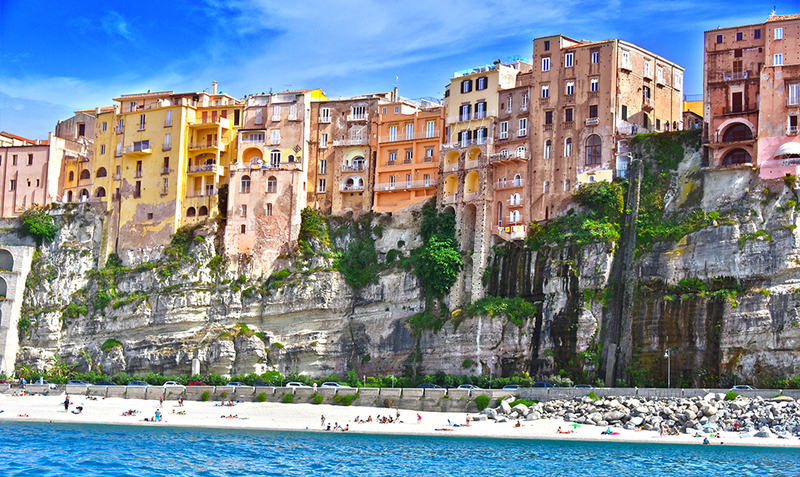 Tropea is a picturesque beach town on the Calabrian coast and facing the Tyrrhenian Sea. The clear waters and white sand are one of Tropea’s highlights for me, as well as the fantastic restaurants with fresh seafood, cobbled streets and characteristic buildings, churches and noble palaces. Tropea is also famous for the red onion and chilli. You will most certainly see plenty of red onions and chillis displayed and hanging all over the town.